Did you know that bright orange spice found in your kitchen is one of nature's most powerful herbs? Turmeric (Curcuma longa) is a naturally occurring spice of the ginger family, and this spice has recently captured the attention of many modern medical and scientific communities. This is because turmeric contains an extremely healthy organic molecule known as curcumin - an ingredient which makes turmeric arguably one of the best herbs at combating disease. A mountain of scientific studies support the beneficial effects of turmeric curcumin in the management of number health conditions such as arthritis, joint pain, inflammation, cognitive disorders, heart disease....and the list goes on (1, 2, 3, 4). Many of the positive health effects of this wonderful herb come from a specific active ingredient. Curcumin is the major bioactive molecule found in turmeric, and is a strong antioxidant and anti-inflammatory agent (5, 6) . This means curcumin helps to protect one's cells from damage caused by free radicals, and reduces chronic, low-grade inflammation. This is important, because scientific evidence has long suggested prolonged inflammatory responses inside the body may lead to a number of diseases and health conditions, such as high blood pressure, metabolic diseases, and degenerative disorders (7, 8, 9). Listed below are just five of the top health benefits of turmeric curcumin. Read on to learn how this popular functional food has helped people around the world to improve their health. If your daily life is plagued by ongoing pain and inflammation in the joints from arthritis, turmeric curcumin could be the savior you've been searching for. 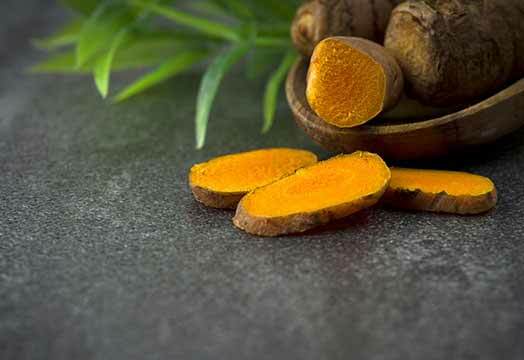 Many studies have found that the anti-inflammatory activity of turmeric curcumin might exceed that of conventional arthritis medications, and make it completely suitable for combating arthritis (1, 10, 11) . Luckily, with turmeric curcumin, you can reap all the benefits without having to bear the brunt of serious side effects of prescription pain killers. Turmeric curcumin has been shown to increase the levels of a key hormone called Brain-Derived Neurotrophic Factor (BDNF) (2, 15). BDNF is essential for the multiplication of brain cells, and decreased levels of BDNF have been linked with an increased risk of depression and Alzheimer's disease (12, 13, 14). Not only does boosted levels of BDNF in the brain delay the progression of degenerative brain disorders, but it may also reverse these conditions (16). Moreover, studies have suggested turmeric curcumin can also work to improve one's memory and help to enhance thinking and cognitive abilities, although further evidence in humans is needed (17). Curcumin has a direct effect on lowing ‘bad’ LDL cholesterol levels and reducing high blood pressure (18, 19). Turmeric curcumin also has antioxidant capabilities, thus lowering oxidized LDL levels in the body (5, 6). High levels of LDL cholesterol can lead to atherosclerosis — thickening and hardening of the artery walls, which can eventually cause heart disease or a stroke if not dealt with. It is our hope that doctors will further promote effective and natural blood-pressure-reducing and cholesterol-lowering options like curcumin, which come with no dangerous side effects unlike their statin-drug counterparts. Without a doubt, curcumin is one of the most powerful anti-inflammatory agents out there. In fact, recent research has shown that it is way more effective at reducing inflammation than aspirin or ibuprofen (3). This is because curcumin has been shown to inhibit the activity and synthesis of 2 enzymes involved in inflammation (COX2 and 5-LOX). Another study on ulcerative colitis patients found curcumin to be an effective and safe agent at minimizing flare-ups and reducing symptoms (20). These results are just the tip of the iceberg in terms of research and trials which prove the powerful healing benefits of curcumin; however, there are so many diseases with underlying inflammation that hopefully may be improved with the use of curcumin. Turmeric curcumin can work to help keep your skin smooth and healthy, preventing breakouts, rashes, and scars (21, 22, 23, 24). This superfood not only has anti-inflammatory effects on the skin, but its anti-septic properties may also keep acne at bay, preventing further damage. Skin conditions caused by autoimmune responses including eczema, psoriasis, allergic dermatitis, lupus, and many others may also be managed with turmeric (21). This is because turmeric speeds up healing and gets redness and irritation under control. For uncomfortable skin conditions, turmeric masks and supplements help to grow smooth and glowing skin. How Does Turmeric Curcumin Help to Reduce Pain & Inflammation? Undoubtedly, turmeric curcumin is one of the most potent natural anti-inflammatory compounds. But are you aware of how it works? In the following section, the mechanisms behind the anti-inflammatory properties of curcumin will be explained (in brief). Before we learn more, let’s have a quick overview of inflammation. Inflammation is a protective mechanism which is necessary for healing after an injury or infection. Take an example, when you catch a cold, your immune cells launch an attack against the cold virus. During this process, a number of different molecules that cause inflammation are released into the bloodstream. This is why a cold is often accompanied by a blocked and stuffy nose. Once the inflammation is over, your body works to remove the cold virus and damaged cells from the system. 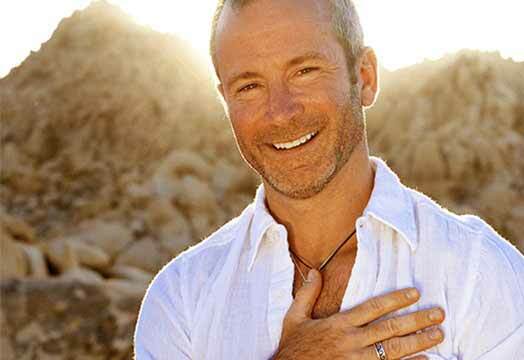 Note that this healing process would not be possible without an inflammatory response. While short-term inflammation can be beneficial for your health and reducing the progression of colds, ongoing and often undetectable chronic inflammation at the cellular levels can have a profound negative impact. It increases the risk of heart disease, hormonal imbalances, diabetes and mental disorders (7, 8, 9). Unfortunately, a typical Western Diet is a supporter of chronic inflammation, with excess consumption of processed foods and unhealthy fats. For example, the consumption of Omega 6 fatty acids has risen in the past century (25). 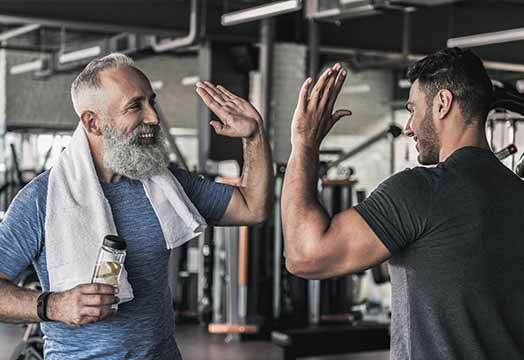 This is concerning because Omega 6 fatty acids have been scientifically proven to be pro-inflammatory (on the other hand, Omega 3 fatty acids are known to reduce inflammation (25). Still need a reason to take a supplement that reduces inflammation? Curcumin is famous for blocking multiple steps in the inflammatory pathway. Most notably, it reduces the levels of key molecules that aid inflammation (3). Decreased inflammation leads to pain relief as the brain receives fewer pain signals that come from the inflamed site. ● The curcumin content of turmeric (found in the grocery store, or in one's kitchen) is only around 3% (26). That being said, consuming turmeric in foods is quite unlikely to provide one the amount of curcumin required for significant health benefits. 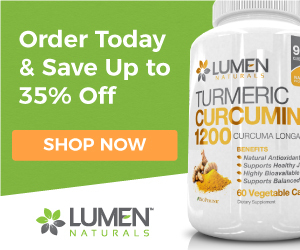 To strengthen your foundation of health, and take advantage of the wonderful benefits of turmeric curcumin, give Lumen Naturals Turmeric Curcumin with Bioperine® a try. One bottle of our top-selling supplement lasts an entire 30 days, and is packed full of 60 vegetable capsules containing only the best turmeric curcumin. As mentioned above, the added BioPerine® can boost the absorption of curcumin by up to 2000%, so the benefits will far exceed those from simply eating turmeric. Get yours today and improve your health with this amazing superfood! If you act soon, you can take advantage of our special offer and save up to 35% OFF your entire order - Click the product link below to shop now! 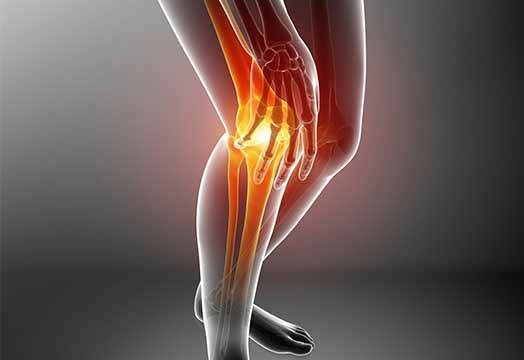 Want to Combat Joint Pain & Inflammation Naturally? 26. Tayyem, R. F., Heath, D. D., Al-Delaimy, W. K., & Rock, C. L. (2006). Curcumin content of turmeric and curry powders. Nutrition and cancer, 55(2), 126-131. 28. Shoba, G., Joy, D., Joseph, T., Majeed, M., Rajendran, R., & Srinivas, P. S. S. R. (1998). 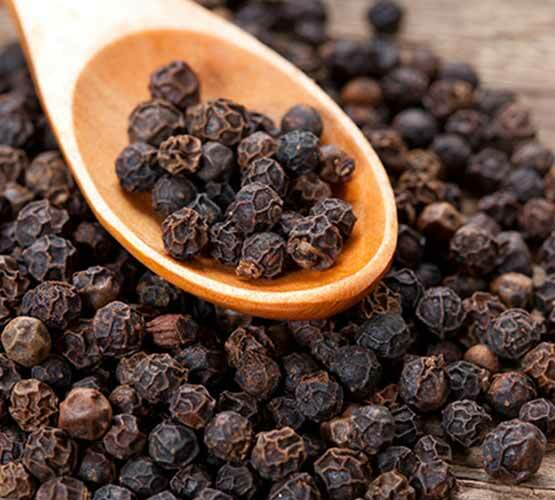 Influence of piperine on the pharmacokinetics of curcumin in animals and human volunteers. Planta medica, 64(04), 353-356. 30. Joshi, J., Ghaisas, S., Vaidya, A., Vaidya, R., Kamat, D. V., Bhagwat, A. N., & Bhide, S. (2003). Early human safety study of turmeric oil (Curcuma longa oil) administered orally in healthy volunteers. JOURNAL-ASSOCIATION OF PHYSICIANS OF INDIA, 51, 1055-1060. 31. Lao, C. D., Ruffin, M. T., Normolle, D., Heath, D. D., Murray, S. I., Bailey, J. M., ... & Brenner, D. E. (2006). Dose escalation of a curcuminoid formulation. BMC complementary and alternative medicine, 6(1), 10. 32. Baldini, A., Von Korff, M., & Lin, E. H. (2012). A review of potential adverse effects of long-term opioid therapy: a practitioner’s guide. The primary care companion to CNS disorders, 14(3).